Close up of my sons cookies. 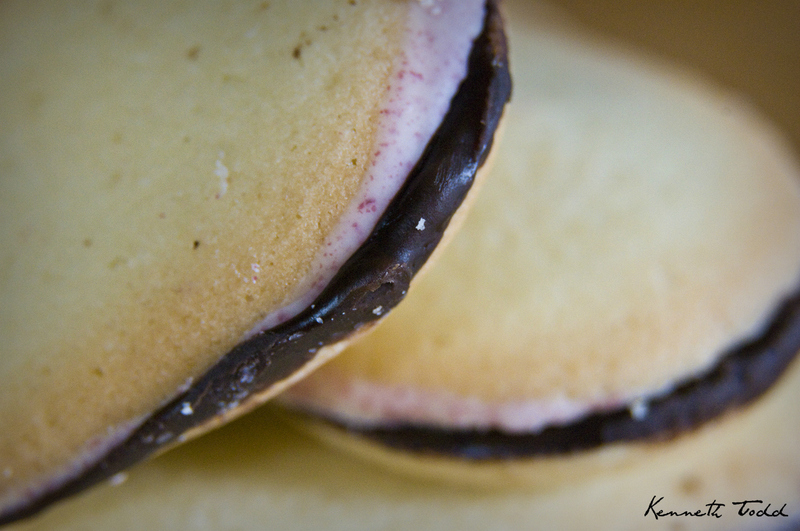 Rasberry creme filling on dark chocolate between two cookies. Not bad hey? He’ll munch the whole packet if I don’t monitor the situation. Him and me both. The cookies look scrumptious 🙂 Nice shot. No he won’t and I am OK with that. I don’t eat any of that stuff. Nice to photograph though.